Who is a Candidate for Permanent Eyebrows? Permanent eyebrows reduce or eliminate the daily use of pencils or powders to fill-in, reshape, or color brows. They help women whose eyebrow hair is lightly colored, thin in places, sparse overall, or nonexistent. Women with oily skin, poor vision, hand tremors, makeup allergies, or an active lifestyle also benefit from permanent eyebrow tattooing. When done well, this procedure can improve or correct eyebrow shape, thickness, color, density, and symmetry. 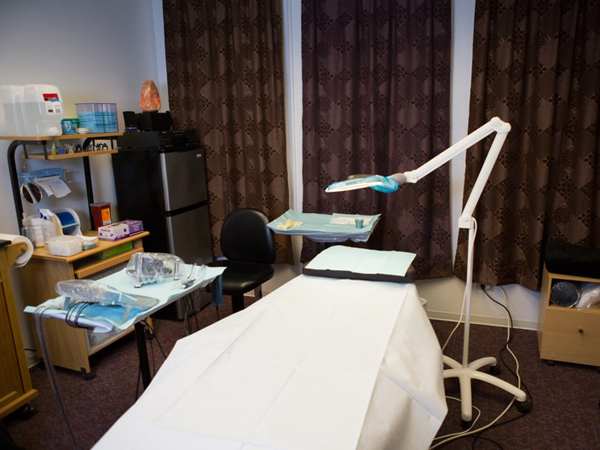 Since 2006, Dr. Reed has tattooed eyebrows using techniques such as hair strokes and powder-fill. Her experience covers all skin types, ethnicities, and ages ranging from 18-89. She has worked on women with eyebrow hair grafts (transplants), scars from injuries and burns, and no brow hair (Alopecia, Chemotherapy, and Trichotillomania patients). Will They Look Fake or Natural? Most people have seen permanent eyebrows that appear heavily tattooed in a solid color and some that look like they were drawn with a sharpie marker! However, when permanent eyebrows are done by an experienced professional, they will look as good as regular makeup, even better! The artist’s technique can vary from 3-D simulated hair strokes to a shadowy powder look or a combination of both. As a well trained and experienced artist, Dr. Reed will recommend the appropriate method for your age, skin type, and style preference to create a natural look. With you as an active participant, she will create custom designed brows that are flattering so you are happy with the result. Hair Strokes: These are fine tattooed lines that simulate real hairs. They can be created by the microblading manual method or the machine method. These are NOT real hairs coming out of the skin, so at best they mimic hairs. Most photos on websites and social media are “immediately after” so the hairs look more “real.” Once healed, they are seen through the skin and do not appear as sharp or crisp. Still, this technique is preferred by many women especially when filling in brows with missing hair. Other women feel this technique looks less natural and harsh, but that can depend on the “skin space” (amount of skin seen in between the lines). For those ladies, a denser grouping of hair strokes or a combination brow may be their choice. Powdery Fill: This type of permanent eyebrow does not have hair strokes. Color is implanted in a more uniform manner to create soft shading that mimics the application of eyebrow powder. Some ladies feel this method looks more natural, especially when there is less eyebrow hair. Combination or Hybrid Brow: This combines shading and hair strokes to create a fuller brow or to minimize the skin space seen with regular hair stroke only brows. This technique may be needed to adjust the color of faded permanent eyebrows while still providing a 3-dimensional hair stroke look. Solid Fill: This method of eyebrow tattooing is primarily used for color correction of previously tattooed brows that have turned an unwanted color (orange, purple, blue). A corrector pigment must be implanted to “neutralize” the unwanted color and change it to a more flattering shade. Is a License Required to Do Permanent Eyebrows? In Idaho, there are NO laws regulating microblading or permanent makeup—anyone can do it anywhere with little to no training or experience! There are NO minimum required hours for initial training or continuing education. There is NO testing, NO licensing, and NO oversight of instructors. This has allowed an increase of “eyebrow artists” in beauty and nail salons. Upon taking a 2-day class, the students are told they are “certified” and begin working on clients thinking they know everything. The new artist has no comprehensive permanent makeup training covering subjects like the science of pigments, color theory, skin anatomy and physiology, pain control, types of equipment, needle configurations, makeup design, facial morphology, and bloodborne pathogen (disease) control. Does the Health Department Inspect Permanent Makeup Artists? In Idaho, there are NO health department inspections of permanent makeup artists EVEN IF they are in beauty salons or spas. Some salons advertise that clients are safe because they are inspected and licensed by the Board of Cosmetology. That is misleading! Yes, salons are licensed by the Cosmetology Board, but their inspectors check sanitation practices related to cutting hair, manicuring nails, etc. The cosmetology inspectors are NOT trained in, NOR inspecting anything related to microblading, permanent makeup, or bloodborne pathogen control—because that falls under “tattooing” and there are no laws regulating tattooing! As a consumer, it is critical that you know this and do not have a false sense of security based on false claims. Is My Health at Risk With This Procedure? Since permanent eyebrows ARE a form of tattooing, a client’s skin is broken exposing the artist to blood. Then you, as the next client, are exposed to the blood of the person tattooed or microbladed before you IF that artist does not sterilize correctly or makes one simple mistake! Artists may be taught a little about bloodborne pathogen control during a short class, or they take an online course to get a certificate. However, there is a LOT to know about preventing disease cross-contamination. Any artist without years of experience or a medical/dental background can easily make errors. As a retired Optometric Physician, Dr. Reed’s infection control knowledge and methods are routine and unsurpassed. Before moving to Idaho, she practiced permanent cosmetics in California and was inspected annually by the Orange County Health Department. Here in Idaho, even though “no one is watching,” she follows the same correct standards! 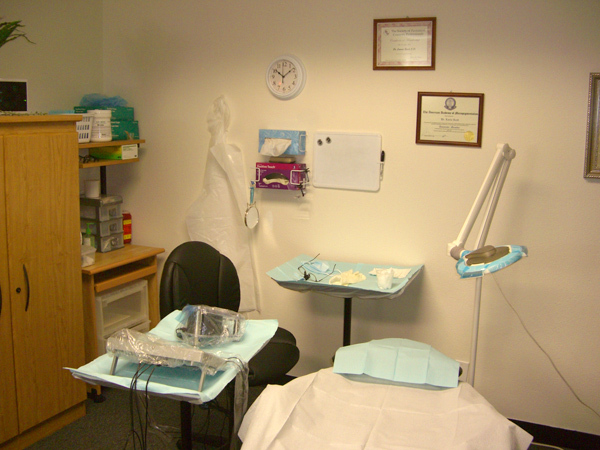 Is Dr. Reed Certified in Permanent Makeup? Yes and her credentials are recognized worldwide. She is a Certified Permanent Cosmetic Professional and Lifetime Member of the Society of Permanent Cosmetic Professionals. She is also a Board Certified Fellow in the American Academy of Micropigmentation. Dr. Reed is a Certified Eyebrow Design Master and has completed numerous advanced eyebrow continuing education classes. She has developed a unique measuring system for designing eyebrows and balancing their symmetry to make them “twins” instead of “sisters.” In addition, she is qualified and experienced in the removal and/or lightening of inferior eyebrows done by microblading or any other tattooing method. When you schedule your procedure, Dr. Reed will give you a detailed list of instructions that include the following and more: Allow at least 3 hours for your initial procedure appointment. If you regularly shape your brows by tweezing, shaving, threading, or waxing, you should do so a few days before your appointment. Stop taking any blood-thinning products 3-5 days before (e.g. aspirin, alcohol, fish oils) unless prescribed by your physician. Wear your eyebrow makeup for style evaluation and bring it with you for color matching. You will fill out forms including a medical history that Dr. Reed will review for potential complications. She will analyze your face shape, features, and eyebrows including their symmetry (evenness). She will review eyebrow techniques and styles with you then pencil different designs according to your preference and facial analysis. Custom pigment colors will be mixed that match your eyebrow makeup (if desired) and compliment your skin and hair color. A topical anesthetic will be used before and during the procedure to minimize any discomfort (ladies fall asleep all the time while she works on them!). Before and after photos will be taken for your file and pigment colors will be recorded for returning visits. Your new eyebrows will be darker than you want and there’s no way around that!. There will be some mild swelling and redness that will clear in a few days. The color will lighten quickly during the first week, then gradually soften and stabilize over a few weeks. During the first week of healing, you will apply an ointment. While healing you must also avoid swimming, saunas, the sun, etc. so keep this in mind when scheduling your appointment. Dr. Reed will go over detailed after care instructions at your appointment. A complimentary follow-up appointment is included for each new eyebrow procedure that takes approximately 2 hours. This is the “completion” visit where the color or shape of your brows can be adjusted. This procedure should be completed about 4 weeks after the initial procedure. Since permanent makeup fades over time, maintenance visits can be scheduled every few years to keep color looking fresh. These appointments are shorter and less expensive if the original work was done by Dr. Reed. On average, her eyebrow patients return for a refresh in about 3 years.